The President of the Nigeria Football Federation, Amaju Pinnick has defended the decision to give Super Eagles’ Technical Adviser, Gernot Rohr a new two-year deal. 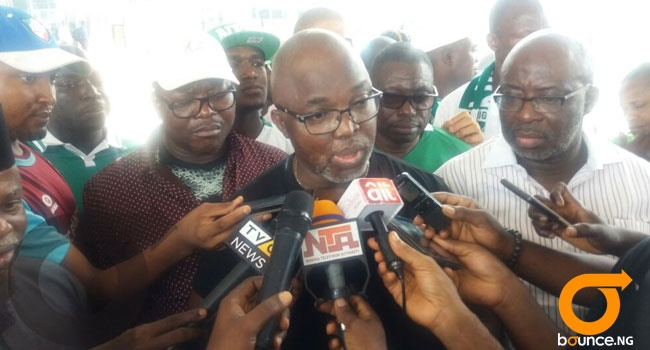 Pinnick explained that the resolve of the Federation’s leadership to ensure there are no distractions around Nigeria’s 2018 FIFA World Cup preparation informed the move to sort out the coach’s future. Rohr, signed by the NFF in August 2016, has met the first milestone of his contract, which is qualifying the Super Eagles for a sixth FIFA World Cup finals. Many are now keen to see what Rohr will do in Russia. “After signing the agreement on payment to the team from expected FIFA income, the next stage is to take care of the Technical Adviser. He has done very well and does not need to go into the World Cup uncertain of his future,” stated Pinnick.